As a hairstylist, many of my clients are wanting to grow their hair. It is not always an easy journey. I, myself, have ventured through this several times. Going from pixie short to luscious long hair can take a year or two. Fear not! It is do-able, but it takes perseverance, time, patience and sometimes creative styling for the in-between phase. Here is a little run-down on the grow-down. On average, hair grows about half an inch per month. This rate could be faster or slower depending on a person’s hair growth cycle. Along with this, hair can grow for an average of four years. Again, this could be longer or shorter depending on the individual as well as race. It has been shown that people of Asian descent can have hair growth cycles of up to nine years! As it grows, so it sheds. Hair shedding occurs every day. Different sources estimate daily hair shedding at 100 to 150 hairs per day, more recent studies claim 35 to 40 is a closer daily estimate. 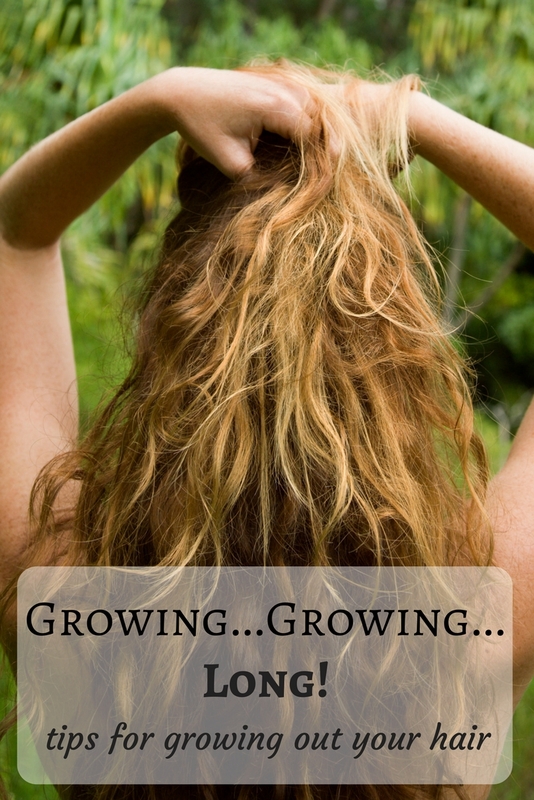 Hair grows…hair sheds, this cycle continues throughout our lives with gradual changes along the way. When growing hair long, good hair care and trims are needed. Here follows a few more hair growing ideas. Patience is a virtue, especially when in the midst of growing hair. It will not happen overnight, so allow hair to grow and reshape it as needed. The right towel matters. Using a regular towel with its woven fibers can snag hair and it is more prone to breakage especially when wrapped up too tight, turban-style. A better choice for hair is a thin microfiber towel. Lastly, when hair gets long enough to start tying it back, tie hair in different places. Consistently making ponytails in the same place can cause hair to break creating a “halo” effect. Changing up ponytail placement can keep strands long and healthy. I hope your journey to long hair will be blessed with health and length. Happy Growing!